ca. 435 - 425 B.C. 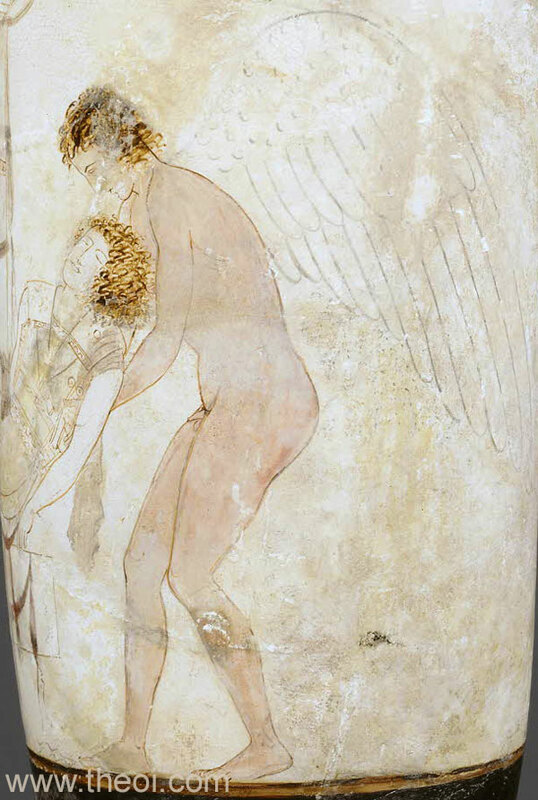 Hypnos (Sleep) carries the body of Sarpedon from the battlefields of Troy. The god is depicted as a beardless, white winged youth. His twin brother Thanatos (Death) (not shown) is similar in form but bearded.